In general Chanichim need normal clothes, Shabbat clothes, adventure clothes (leggings for girls), messy clothes, towel and cosmetics. 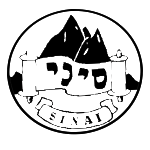 Sinai follows the guidelines of Rabbi Kimche in all matters of Halacha. Please remember to conform to our dress code. Girls should ensure that their skirts cover the knee. Tops should be up to the collarbone and sleeves to cover the elbow. Boys should not wear sleeveless tops and shorts should come to the knee. All clothing should not be tight fitting. It is extremely uncomfortable for the Madrichim to have to ask a Chanich to change because they are not dressed appropriately, so please ensure that your child is equipped with sufficient tzniut clothing. Please ensure that everything is labelled with your child’s name and that you do not send them with valuables. Any electrical items and chargers are brought at the risk of the owner. The building will be providing all bedding including: A pillow, mattress, duvet and all linen. Each participant is only entitled to one suitcase and one backpack. Additional suitcases will not be allowed on the coach.